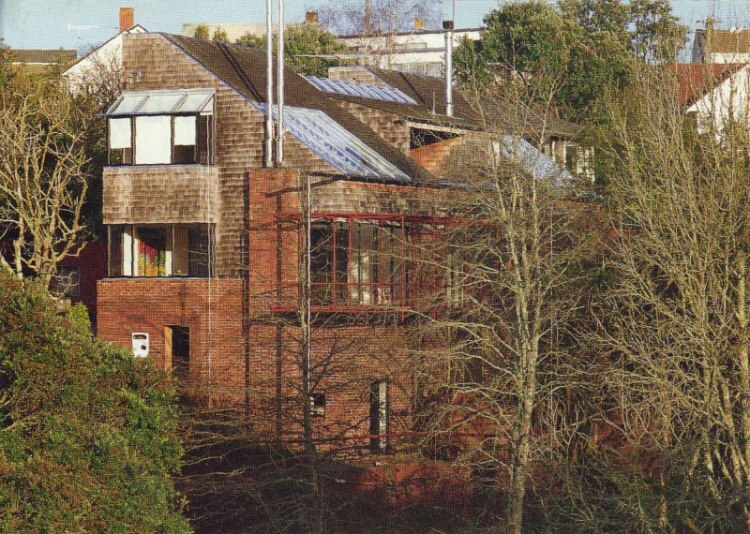 Here's architect Claude Megson's own house, above Dingle Dell in Auckland' St Heliers. A simple looking exterior concealing an awful lot of living within. 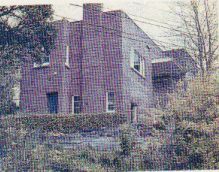 There is an essential "rightness" about Megson's spaces, for pleasant occupation by ordinary, normal human beings. Such things, says Dickson, have gone out of fashion with today's students. Well, so much the worse for the students [and their clients!]. comfort and pleasure, then even those anguished souls overwhelmed by post-Heideggerian "problematics" about the nature of their existence might, given spaces like Megson's to contemplate that nature of their "Being," come to more positive conclusions! Because that's the point about Megson's spaces; they are life-enhancing.